Tina’s dilemma is whether to marry stable but dull Roland or free spirited Frank, a man w ho wears his with Gypsy blood and dubious faith on his sleeve. Then there is Victor, from Vancouver. Flighty Tina strings them all along. Just as she makes up her mind, along comes Dorrie Harms with her designs on Tina’s intended. Marriage, Tina discovers is not all sunshine and sunflowers. Realities of life on the prairies, personal tragedy, health issues and her husband’s quick temper coupled with Tina’s own poor choices make marriage and life a struggle. Her Mennonite faith is tested and found wanting. Schemenauer’s vivid prose brings to life a vivid patchwork quilt of characters and a realistic setting. The reader will root for Tina, the main character, not because she is completely righteous—she is not, but because we want her to make wise choices. Schemenauer does an excellent job of revealing her characters’ minds; it’s not always pretty and charitable thoughts either- jealousy, anger, prejudice and an endless go around of justifying decisions. Though the plot seems to veer off a little, the story avoids a formulaic approach. 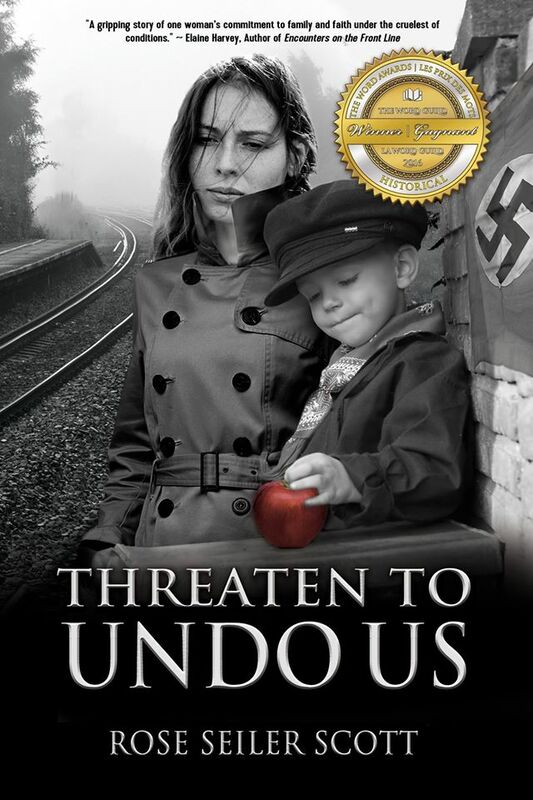 Twists, turns and the characters’ quirks keep the reader turning the pages until the end. Played out against the backdrop of World War Two,Consider the Sunflowers is a historical romance: a tale of marriage, life and faith. Consider the Sunflowers is a delightful read, full of all the snippets of Mennonite and agricultural life that only an “insider” could know. 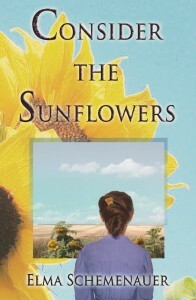 Consider the Sunflowers is 299 pages, $19.95 paperback, publisher Borealis Press of Ottawa, ISBN 978-0-88887-575-4. If you order it through a bookstore or library, you may not need to pay for shipping. You can also order online from Chapters Indigo, http://tinyurl.com/nsylp5j . [No shipping charge on orders of $25 or more in Canada. They also send to other countries but charge for shipping]. Or order from Borealis Press, http://tinyurl.com/lfdo9pf . E-book coming in 2015. For more information, please see http://elmams.wix.com/sflwrs .